It’s official – would of never guessed the results of this study but men are vainer than women, as new research shows male respondents admitting to ‘admiring’ themselves in the mirror around 23 times each day compared to just 16 for women. For many men, we have accused women of spending way too much time in the mirror – but this could all be set to change. 1,000 British people were surveyed on their grooming habits. The results showed that men have a tendency to admire themselves when looking in a mirror, while women spend that time assessing the body parts they feel most conscious about. So what do the numbers equate to- Men spend an average of 10 minutes per day looking in the mirror, which adds up to nearly six and a half days over the course of a year. 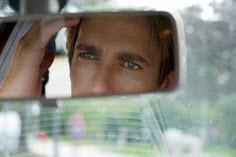 A huge 82 per cent of male respondents admitted that it was important to them to maintain a pleasing appearance, which accounted for the number of times they gazed at their reflection. The men were most satisfied with their arms and legs (76 and 54 per cent respectively), followed by their smile, eyes and hair (49, 43 and 38 per cent). What’s more, there’s been a steady increase in sales of male grooming products. 67 per cent of men surveyed said they owned more than three beauty products, while just over a third confessed they had used a female friend or family member’s beauty products in the past.